With so many players in the Windows computer imaging space, finding the right tool can be downright daunting – not to mention extremely time consuming. So much so that many companies are still using the old spooky software they started using 20 years ago. Yes, 20 years ago! If your existing software is unreliable, you’re managing a diverse hardware set, or you’re running into issues managing Windows 10 Creators Updates, it’s time to see what’s out there. SmartDeploy is stronger than ever with many new features added since the article published earlier this year (like our new imaging over the internet capability). 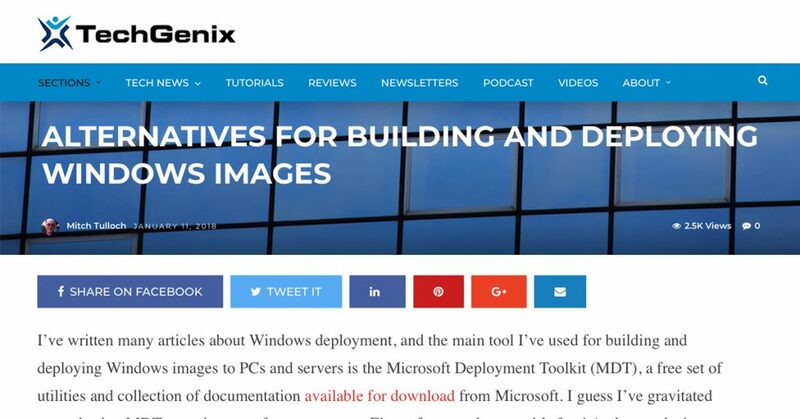 Go ahead, take a quick read and be sure to include SmartDeploy in the list when you decide it’s time to evaluate a new Windows imaging solution.